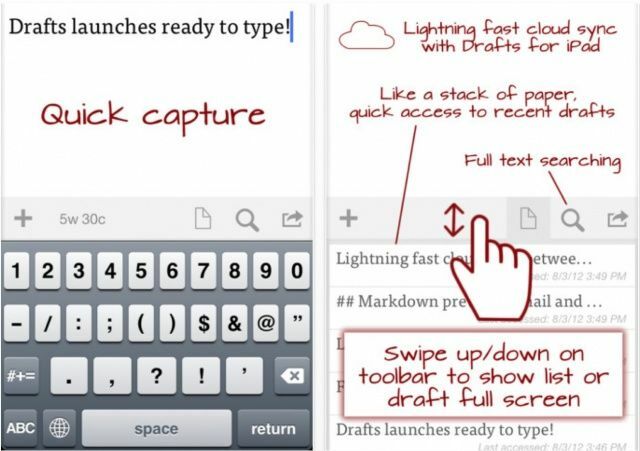 Kicking off this week’s must-have apps roundup is a fantastic text editor called Drafts, which has quickly become my favorite on iOS. We’ve also included a great alternative music app called Ecoute; the latest Facebook app, which has been rewritten from the ground up; and a third-party web browser that prides itself on being super speedy. I didn’t discover Drafts until last week, when it first made its debut on the iPad. But I’m glad I found it. I’m not going to describe it in great deal because my colleague Charlie Sorrel wrote a great review on it last week. But I will give you my opinion. Drafts has quickly become my favorite text editor on iOS. It’s super simple to use, and it has all the features you’d want from a great text editor. The thing I like most about Drafts is that it’ll export your work to almost anywhere, so I can type up articles and reviews on my iPad, then send them to my Mac via Dropbox, email, Evernote, and more. You may already be familiar with its name, because Ecoute has been available on Mac OS X for some time. But if you’re not, it’s an alternative music player that offers a clean, elegant user interface that allows you to quickly access the music you want to listen to. Ecoute uses your existing iTunes library, so you don’t need to set up a new one — every track, album, playlist, and podcast stored on your iOS device will be found automatically. Ecoute then presents you with dedicated buttons for all those things, so it’s easy to flick between them. 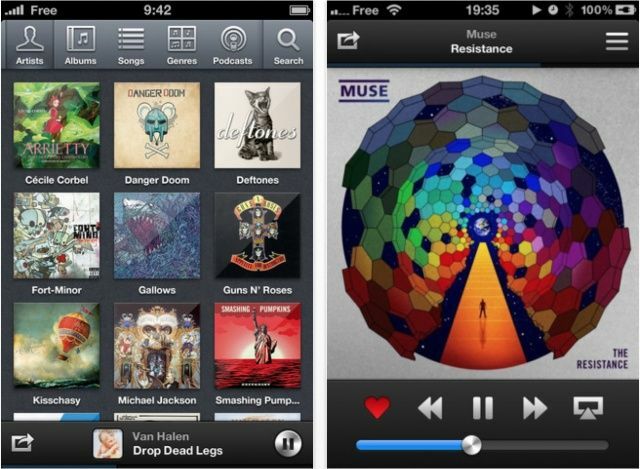 The app offers Twitter and Last.fm integration, so that you can share your favorite songs with your friends; and support for AirPlay and iTunes Match. About the only thing I don’t like about Ecoute is that it’s not built for the iPad. But here’s to hoping that changes soon. 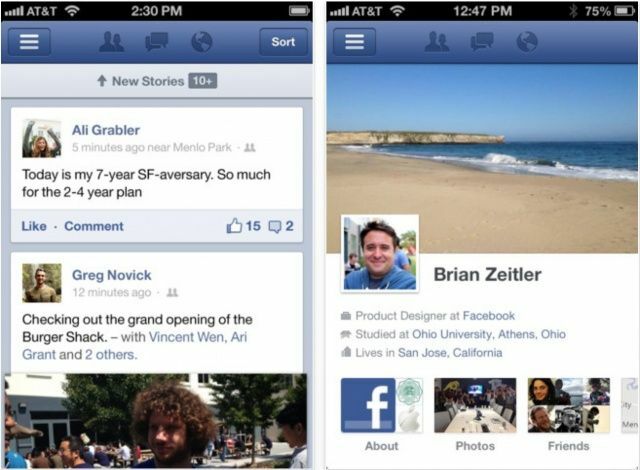 I don’t know about you, but I’ve long been using Facebook’s web app on my iPhone instead of its native app. The reason for this is simple: it’s always been so painfully slow and unrealiable that it wasn’t worth the few megabytes of storage it demanded on my iOS device. Thankfully, (finally!) that’s now changed. Facebook has now launched a brand new iOS app that’s been rewritten from the ground up to be super speedy and stable. It’s no longer built with HTML5; it’s now a truly native app — and it works great. So, if you deleted it months ago like I did, it’s time to reinstall it. If you came to iOS from Android, you may have used Maxthon already. 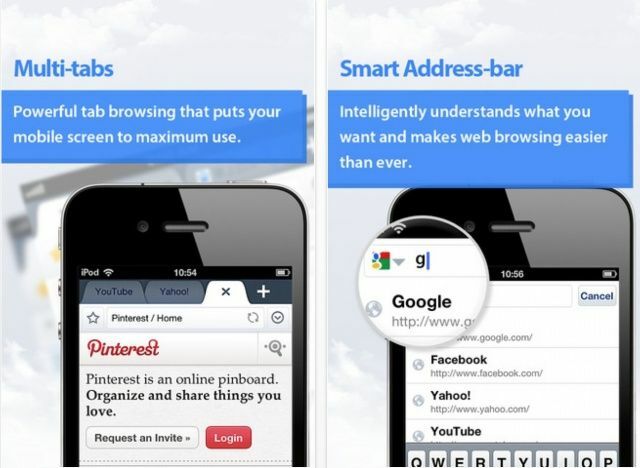 It’s a great mobile web browser that has won About.com’s best browser award for three years straight. Not only is it super quick — powered by technology that achieves the highest HTML5 score — but it also boasts a stack of great features. There’s cloud syncing so that you can take your bookmarks with you wherever you go, a private browsing mode, a reader mode that’s great for news articles and stories, a download manager, a smart address bar, and tabbed browsing. What’s more, Maxthon is completely free; there are no ads, and no in-app purchases.